One day we'll get a slow transition from summer into the cooler weather, not just jump right into it. So begins my stages of denial (I go through this every year) -- I refuse to wear coats, put away open toed shoes, stop wearing tanks/showing skin. Until I come to terms with the change in season, I'm not covering up! (aka I tend to get sick around this time for this very reason). Oh well, the sacrifices I make to hold on to the last bit of warm weather. 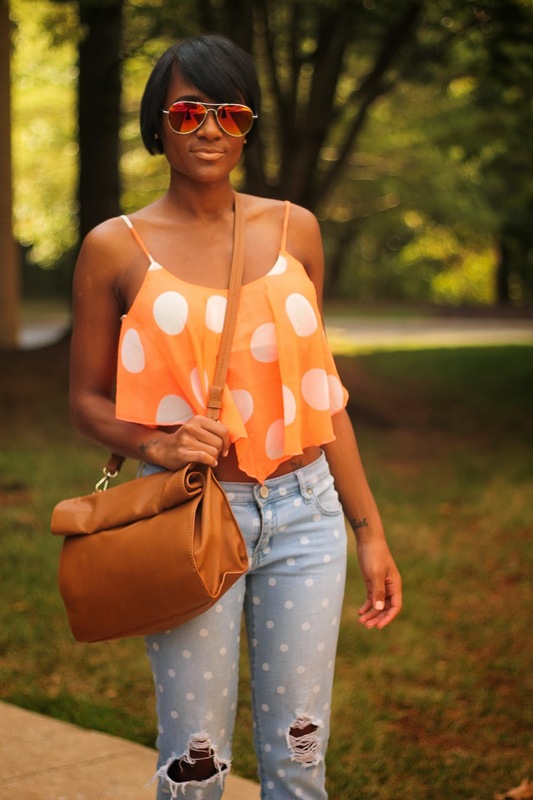 love that bold top, and the mixing of polka dots looks so cute! Love the mix of dots ! Love the mix of polka dots!